Has TUF scheme failed to support growth of Indian textile industry? Since its inception in 1999, the Technology Upgradation Fund (TUF) scheme introduced by the Ministry of Textiles has seen many extensions, changes, additions and amendments, yet the scheme envisaged as a vehicle for modernisation and expansion of the textile industry and subsequently the textile value chain, has always been a matter of debate. Despite the existence of such a robust scheme, the latest report on the health of textile mills is discouraging with 682 textile mills shutting down in 2017. Of them, 232 mills were in Tamil Nadu, 85 in Maharashtra, 60 in Uttar Pradesh and as many as 42 such mills were in Haryana. Why the TUF scheme has failed to arrest the decay in the mills sector, is worthy of an analysis. According to Government records, more than Rs. 21,000 crore has been provided as assistance to the industry during 1999-2015, yet the core issue of mass adoption of newer technologies, crucial for making the textile industry globally competitive and reducing soaring capital costs, still remains. Many mills are still operating with old machines and even older production methods and a ‘slow death’ is their inherent fate. 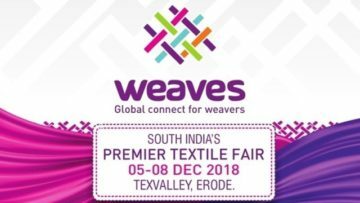 On the other hand, companies like Arvind, Trident, Raymond, to name a few, which have invested in new technologies and production methods have been successful in not only remaining relevant in a competitive market, but also taking the leadership position in the textile segment. While everyone unanimously agrees that though the intent of the scheme is very relevant, the implementation mechanism is cumbersome and prone to delays in payment. The main issue in TUF is the model of disbursement of funds. For example, 5% interest subsidy means, one company after paying this interest to the banks should get reimbursement from the Government. This leads to multiple complications because of involvements of several banks and many stages of processes. “TUF is useful, but we have to fine-tune the execution part. We have to design a new system like, companies can deduct the subsidy part interest during their payments to banks, and in turn bankers can claim from the Government as reimbursement. This model only will solve all the practical difficulties,” reasons Prabhu Dhamodharan, Convenor, Indian Texpreneurs Federation (ITF), Coimbatore. There is enough evidence that TUF implementation at the bank end has had major issues, due to which many players have not received TUF for years and the reconciliation work has still not been completed. It’s estimated that about Rs. 6,000 crore is stuck up due to such issues which for many companies is an issue of survival. While replacing the Revised Restructured Technology Upgradation Fund Scheme (RRTUFS), the new scheme (ATUF) is implemented across two broad categories. For the sub-sectors of apparel, garment and technical textiles, up to 15% subsidy is provided on capital investment, subject to a ceiling of Rs. 30 crore for entrepreneurs over a period of five years. The remaining subsectors are eligible for subsidy at a rate of 10%, subject to a ceiling of Rs. 20 crore on similar lines. “I must commend the Government for having made a beautiful seamless system of payment with no human interface. However, the lack of education in many TUF cells and branches of banks and SME companies has led to many being stuck for years and still not being clear as to how they will get the money. The Government has now finally initiated a reconciliation process, hope the same gets completed fast and companies get their dues,” says Sanjay Jain, MD, TT Ltd. and Chairman CITI/ Textile Sector Council /NITRA. Often, we hear from companies that they applied for TUF but got rejected… So where is the gap? “The gap is of not understanding the terms and conditions of the TUF scheme in vogue at the time of application. People assume that old systems are still being followed, while the Government, based on its learnings has been continuously amending things. This communication gap has led to many problems for many people,” shares Jain. Ironically, the very fact that the scheme has been flexible to change with time has been among its biggest problems. Dhamodharan is of the view that changing the policy continuously is also a very important factor for the success of TUF so that one can avoid ‘block out periods’ – kind of situations common in the schemes. It is interesting to note that among all players of the textile segment, investments in spinning worth Rs. 34,347 crore (in the analyses period 1999-2015) much outpaced investments made in the weaving sector, which was Rs. 9,750 crore (including powerlooms and handlooms) during the period. “Despite its many pain points, TUF has definitely helped the industry grow, especially the spinning sector and large units have benefited immensely from the same,” opines Jain. However, a mistake many companies in the segment have made is to invest/expand under TUF, without proper groundwork and practical understanding of the industry, especially the new players. The future and success of TUF scheme in bringing momentum to the textile industry lies in investments upstream – in garmenting, home furnishing and technical textiles. Understanding this, the Government made major amendments to the scheme in 2016, which are effective, up to March 31, 2022. The introduction of ‘Amended Technology Upgradation Fund Scheme’ (ATUFS) in place of the existing ‘Revised Restructured Technology Upgradation Fund Scheme’ (RRTUFS), was conceived with a clear intention to make TUF broad-based and include many more areas and enhance the benefits under the new proposed textile policy. ATUFS provide one-time capital subsidy for investments in employment- and technology-intensive segments of the textile sector with an aim at promoting exports and import substitution. It is being looked upon as an important tool to drive the Prime Minister’s vision of ‘Make in India’. Textile companies have reacted very positively to the move, but those companies who have already taken subsidies under old schemes feel restricted as they cannot take benefits for new areas like technical textiles. “TUF scheme has been over the years optimally used by the industry, but since CIS (Capital Investment Subsidy) per individual entity is only Rs. 20 to Rs. 30 crore, it is not beneficial to the entire industry as Para 4.1.2 of guidelines state. However, in case the entity has availed subsidy under RRTUFS, it will be eligible only for the balance amount within the overall ceiling fixed for an individual entity. This means that all the units already availing the TUF benefits in previous schemes cannot get the new loans under ATUFS due to exceeds in the CIS cap value,” bemoans RK Dalmia, President, Century Textiles. To get full benefit under the amended scheme, ensure that no rejections happen and funds are made available to deserving companies; besides associations need to play a more active role in educating their members. This is also important in the wake of many states now coming up with aggressive policies, which puts further thrust in expansion and modernisation. “However, for investors looking at state schemes, it is important to first understand the track record of the Government in paying them, otherwise it may get difficult for companies whose viability is based on subsidies,” concludes Jain prudently.